This entry was posted on May 6, 2014 by Tinteán Editorial Team/EMcK, in Book review, History and tagged Arkle, Battle of Clontarf, Brian Boru, horse racing. Bookmark the permalink. Ireland in 2014 can celebrate two notable events, one from 50 years ago and one from 1000 years ago, each recalled in newly released books from O’Brien Press. It is quite possible in these days when Ireland regards only economics or politics as important, that the two anniversaries will pass unnoticed or unobserved, even in the school curriculum. There cannot be many Irish people of a particular age who have not heard of Arkle. At the height of his powers, he captured the imagination of the public on both sides of the Irish Sea. His victories coincided with the early days of television, a technology not yet sophisticated enough to do justice to field sports, but ideal even in those grainy days, for horse racing. Part of Arkle’s popularity was simply that the country needed a hero; perhaps those with knowledge of history might recall that there was a time when an Irish Catholic person could not own a horse worth more than five pounds. Here was one bred in Ireland, trained in Ireland and ridden by a lanky Irishman, a horse that took on the might of English jumpers and seemed to glory in his superiority: the haughty head, the ears pricked in that characteristic way and his ability to win his races by huge distances. Our hero was a late developer, a gangly and ungainly youngster with unfashionable breeding. He was lucky that after he was bought by Cork-born Anne, Duchess of Westminster, he was put to Tom Dreaper to train. Along with his head jockey Pat Taaffe, Dreaper is one of the heroes of this story. He brought his charge along slowly, not putting him over jumps until he was fully developed and giving him his first race at the age of seven: contrast the way that modern thoroughbreds are abused by being set for million dollar races at the age of two or three before their limbs are fully developed. This year is the 50th anniversary of the first of Arkle’s three consecutive wins in the Cheltenham Gold Cup, a suitable time to recall those heroics. 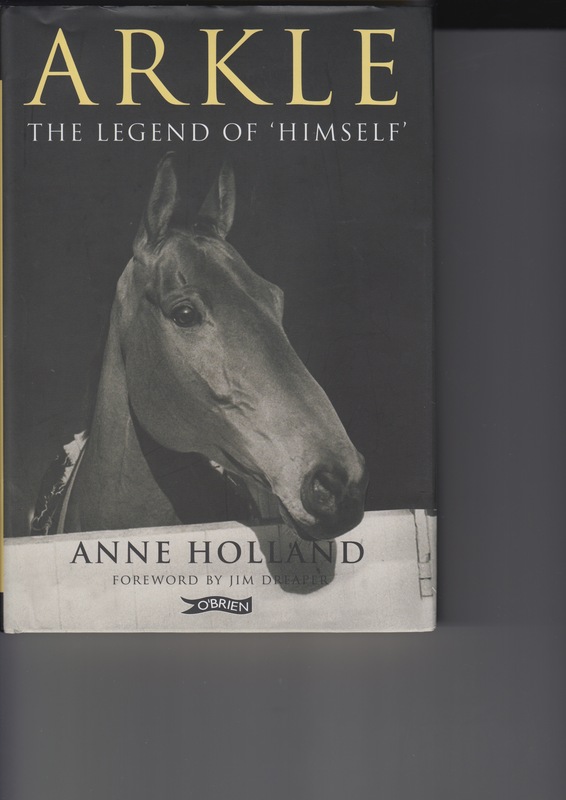 Anne Holland’s book is as much a collection of reminiscences of his achievements by prominent horse-folk as a chronological account of those triumphs. ‘Arkle was second only to the Pope in Ireland – nowadays he would probably be well ahead of the Pope,’ is a typical example of the kind of emotion he generated. It would help if the reader understood the difference between hurdles and chases, bumpers and point-to-point, novice races and maidens, not to mention the proliferation of races called Gold Cup. Ordinary folk like this reader would also like to know who decides that a horse like Arkle should be gelded and to speculate on what would be a suitable penalty for such a disgrace. None of those things, however, takes from a wonderful reminder of what it was like to cheer a genuine champion who was apparently as polite and gentle as he was talented. Morgan Llywellyn. 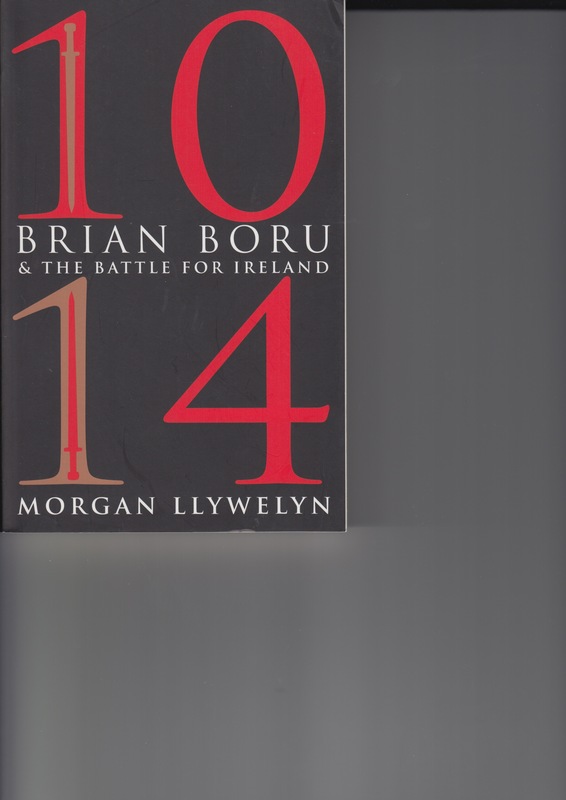 Brian Boru and the Battle for Ireland. O’Brien Press. 255 pp. The story probably says as much about knowledge of Irish history as it does about the Monaghan man, because many of us were told at school that Brian Boru was killed in his tent while saying his prayers. The man who killed him was not in fact a Dane but a pirate leader from the Isle of Man named Brodir. The second book here, partly fiction, partly history, gives the background to Brian Boru and the battle of Clontarf. Far from being an attempt to kick out the Vikings, the author points out that the two armies involved were Norse and Irish on one side against Irish and Norse on the other. By a series of military victories and what we would today call diplomatic coups, Brian had managed to become High King, a position normally filled by one of the O’Neill clan from Ulster. He used the position to improve roads, drainage and land clearance and to bring relative peace to the country. Brian’s other strength was in arranging marriages, the three of his own as well as those of his children, unions that confirmed his status while ensuring that the main royal households did not cause him too much trouble. Some of those unions spread to the neighbouring island; the book points out that the mother of Shakespeare’s Macbeth was Brian’s granddaughter and that his bloodline is also found in the English royal line. The events that led up to Clontarf seemed to have been orchestrated by Brian’s son-in-law, the Viking Sitric Silkbeard, king of Dublin. He invited the Norse from Orkney and the pirates from the Isle of Man to help him, their motivation being the promise of plunder. The book sets up the background to the battle as well as the geography of the area where it occurred and describes it in almost poetic detail, the kind of writing that brings it alive in all its gory detail. Morgan Llywellyn’s books are impeccably researched and written with the kind of immediacy that brings events to life and draws the reader into the action. She uses the same techniques here, turning what might be just another recounting of history into a thrilling read. It is history, yes, and the author refers to other versions of the events, but she manages to get inside the mind and motivation of her characters in a way that is most unusual in a book that brings life to events of a millennium ago. Recommended. *It is recorded, however, that the two later sat together in discussion, and parted as friends.